While blood pressure is much-talked concern among people, many of them are still unaware of that there are many Home remedies for Low blood pressure. In recent times, a number of people across the globe are suffering from low blood pressure. Often people don’t realize that they are suffering from blood pressure and ignore it, which may lead to a serious issue with endocrine, heart or even signaling neurological disorders. Also, severe low blood pressure can chunk the flow of oxygen & other vital nutrients to the brain. By following simple Home remedies for Low blood pressure one can combat it easily. 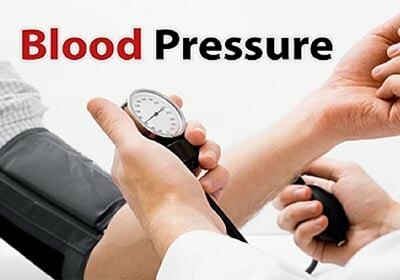 Low blood pressure is also called as hypotension, a condition in which person’s blood pressure becomes low and causes symptoms such as fainting, dizziness, nausea, fatigue, blurred vision, difficulty breathing, palpitations, clammy skin and cold. Home remedies for Low blood pressure, can help you in reducing the symptoms. When low blood pressure becomes concern? For a person who is physically fit and active may have a blood pressure reading less than the normal rage i.e. 120/80 mm Hg. However, in this case it is not a concern, particularly if there exist no symptoms. On the other hand, when readings steadily continue around 90/60 mm Hg or less than that, it can be hypotension, which blocks the flow of blood to brain, heart and kidneys. When a person is experiencing low blood pressure, it is suggested to increase the intake of salt & fluid. Prior to augmenting the intake of salt, after doctors consent. There is number of natural methods available to reduce the low blood-pressure. Here, you will get to know the best home remedies for blood pressure. Saltwater consumption normalizes low blood pressure as the sodium content present in the salt raises blood pressure. However, it is not recommended to repeat this, as surpass salt can be unhealthy. Mix one-half teaspoon of salt in one glass of water & consume it. Sports beverages can also be consumed. A cup of strong coffee, cola, hot chocolate, or any caffeinated beverage helps in increasing blood pressure temporarily. If you often experience low blood pressure, it is suggested to have a cup of coffee in the morning or along with meals, particularly when suffering from orthostatic hypotension. But, don’t overdo it as caffeine may have some long-term effects. Another amazing Home remedy for Low pressure is the intake of Raisins. This is a traditional Ayurvedic remedy and is considered as the excellent one for hypotension. Do this for few weeks or a month for quick results. Holy basil is considered as one of the beneficial home remedy for low blood pressure as it contains vitamin C, potassium, magnesium & pantothenic acid. Moreover, it aids in balancing the mind and reducing stress. Extract juice from 10 to 15 basil leaves. Another home remedy for balancing blood pressure is Licorice root. It is helpful if the cause of low blood pressure is due to low cortisol. It chunks enzymes that breaks down cortisol & assists in functioning healthy adrenalin. It also cures chronic fatigue syndrome. Even, 400-500 mg of licorice root capsules are available. Raw beetroot juice deals with both high and low blood pressure. For hypotension, consume a cup of beetroot juice two times a day for one week. Another traditional home remedy for low blood pressure is intake of Almond and milk. Next morning, peel out the skin and make almonds smooth paste. Lastly, take a cup of milk and boil the paste and drink that milk every morning.